Did you have a great Valentines day? We had a nice one and celebrated our anniversary. you can enter up to 4 times in the month..
Do you have more birthdays to enter? 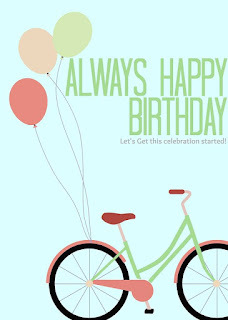 I got a free birthday stamp from Simon Says in Nov. for my birthday.. This is the stamp.. Isn't he cute. I stamped the dog on water color paper and used my Mission water colors to paint the scene. I used My favorite things stitch die. I stamped the sentiment and heat embossed and cut the words out. I love the cuteness of this card. As you like it favorite way to add your sentiment (I love cutting the words out and adding them at wonky angles so that it gives the eyes a way to travel over your card. Billie, this is too cute. Love this! Thanks for joining us at Artistic Inspirations Challenge Blog. 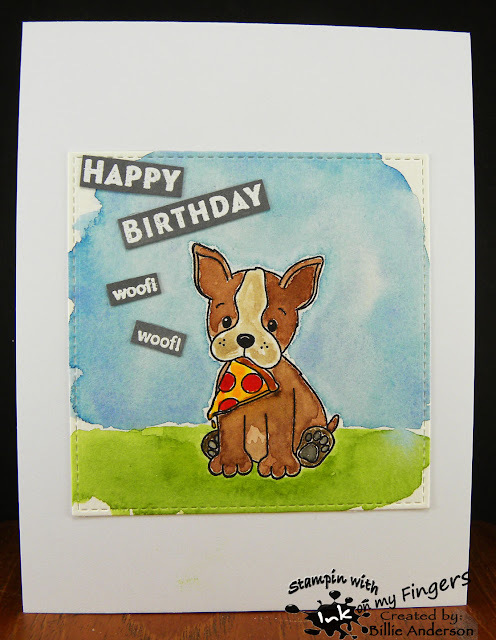 Oh what a sweetheart of a card, that little pup is sooo cute you just want to be able to hug him.